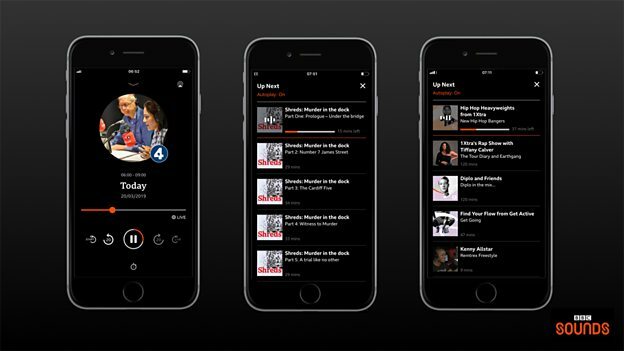 The BBC’s aim to bring outside services to its Sounds app has so far been met with rejection from the commercial sector. In its Annual Plan this year, published yesterday, the BBC says it is interested in opening up BBC Sounds to other podcasts and commercial radio. The invite was first offered in 2018 but no content from Bauer, Global, Wireless has appeared so far despite talks going on since 2018. The commercial radio groups are not happy with the terms being offered, which would include the need for brands such as Magic, Heart, Capital and Kiss having to promote BBC Sounds on-air. A question over how much prominence the commercial radio stations would get over BBC content was also raised. The BBC and Commercial Radio already work together on the Radioplayer project – which brings together all sectors of the industry. Having commercial broadcasters on BBC Sounds would mean the content and branding is controlled by the BBC rather than a joint partnership. In a blog yesterday, James Purnell Director, Radio & Education says: “For the last few months we have also been talking to colleagues in British radio to see if Sounds could help them. “That’s why in the BBC’s Annual Plan we have confirmed we are in discussions with key UK stakeholders on how listeners could enjoy live linear radio and podcasts from third-party providers in BBC Sounds. Our aim is to support the British creative industries, as well as champion new, niche, innovative UK podcasts that may struggle to achieve prominence on global platforms. We would like to make Sounds a platform that serves British audiences and British creativity. But RadioToday understands both Global and Bauer have already rejected the offer, although both decline to comment on the record. Wireless tells us they are still engaged in ongoing discussions which may or may not lead to content being made available on BBC Sounds. Meanwhile, the BBC has taken its podcasts off Google, because it wasn’t happy with the search giant favouring their own app from search instead of BBC Sounds. Since launch, there have been 1.8 million downloads of the app, and an average of more than a million listeners a week. The BBC says its aim is firmly to establish Sounds as the best place to listen to all BBC audio – music, podcasts, and radio. Who wants anything to do with the bbc I mean really who wants to be basically paying for that app when they pay there tv license I don’t wanna pay to listen to radio, commercial is better anyways, capital and radio x are way better than both radio 1 and 2 and the rest of the bbc statuons. You dont have to pay to listen to BBC radio. Sorry Harvey, I have to disagree with you. BBC Radio is free to listen to, even if you don’t have a TV licence you can still listen for free. Radio 2 is miles ahead of its commercial rivals. On Heart/Capital their playlist is so limited it’s just repeat after repeat after repeat all day every day. There already a platform which lets you hear both BBC and commercial radio services under one roof. I know there are other similar platforms before people start. That’s right. Radio Player is a great App with good user interface. It’s my go to radio App. I can understand why commercial radio don’t want to a BBC App. Why have all thst rubbish from global clogging up the sounds app. Go for real local radio. Not global. BBC is trying to get rid of LGBT+ and disability down to 8% by 2020 currently higher, when it shouldn’t be defined like that how disgusting to have this as our public service we have to put money into. Not a great surprise. Why would Global, Bauer, et al want to promote one of their rivals? I’d be like walking into Sainsburys and all the staff are contractually obliged to tell you how great Morrisons or Tesco are. Fooled by the story being published three days before April Fool’s Day? Well someone has certainly been fooled!